I love to watch good horses – who doesn’t, right? When those great horse and rider combos come along it can be magic to watch them in the show pen. This is the case with Shawn Flarida and Wimpys Little Chic. The Quarter Horse News has posted the three runs that make up SF & WLC’s “triple crown” wins. I’m happy to say that I was actually there for one of them! First jewel in the crown was the 2007 NRHA Futurity in Oklahoma City. 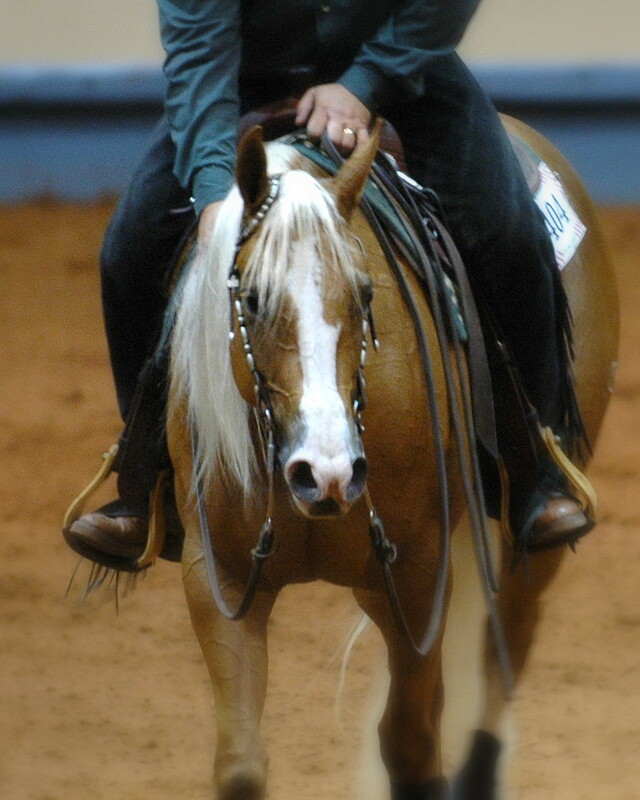 Second was the 2008 National Reining Breeders Classic in Katy, TX. Third was the 2008 NRHA Derby, once again in Oklahoma City. It’s amazing how far we’ve come in technology that we can learn about reining maneuvers and watch exciting runs from the comfort of our home and at the click of a mouse button. I love surfing YouTube for different reining videos to see if there is something new out there. A quick search on “reining” brings up 24,700 videos! When I returned home from the NRHA Futurity last year there were already several videos of the freestyle and the finals uploaded before my plane landed! I was tickled to interview Stacy extensively for the chapter in Rookie Reiner that focuses on Freestyle Reining. I’d spoken to many about this little niche aspect of the sport but her advice was so good that it eclipsed everyone else’s responses. I know if you read that chapter you’ll look a little differently at the next freestyle run you watch.